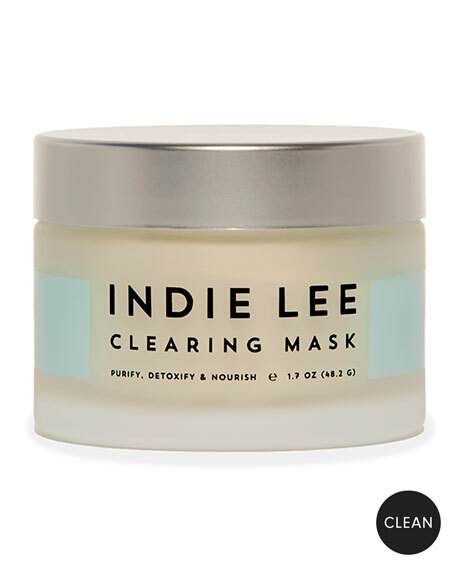 Deep cleanse, soothe and nourish the complexion with this gentle yet effective treatment mask. Salicylic and Glycolic Acids work to exfoliate dead skin cells. Bentonite Clay and Colloidal Sulfur help to gently draw out impurities. Zinc Oxide, Chamomile and Red Seaweed extracts ensure skin is left calm, reconditioned and hydrated. Apply a thin layer to damp, clean skin, avoiding the immediate eye area and allow the mask 20 minutes to work its magic. Gently rinse with warm water. Use weekly for optimum results. For external use only. Grounded in nature, supported through science, and inspired by life, Indie Lee's mission is to provide healthier, clean skincare options. Its efficacious face and body products are composed of the finest ingredients from around the world.